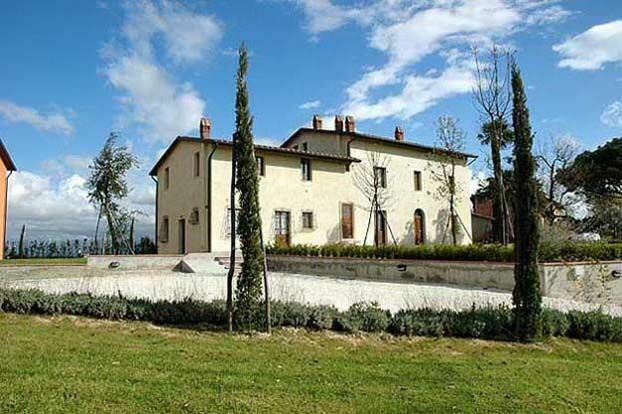 Nice farmhouse complex recently restored and situated in quiet and panoramic location on the Cerbaie hills, in the Parco del Padule, a few kilometres far from the town Fucecchio. The complex with beautiful views on the sorrounding countryside has been turned into 6 apartments, all of which tastefully furnished in a Tuscan style. The bedrooms of all apartments are equipped with screens on the windows. Close to the property guests can enjoy a nice restaurant/pizzeria. Distances: Massarella 2 km, Fucecchio with all kind of shops 3 km, the thermal town of Montecatini 14 km, Lucca 30 km, Florence 45 km. At guests’ disposal: well-furnished garden, shared swimming-pool (12 x 6 m – maximum depth 1,7 m – open from 01/05 till 30/09), barbecue. Iron available. Parking within the grounds. Extra services to be paid on the spot: upon request it is possible to: hire a baby cot (€ 30,- / per week), extra bed (€ 50,- / per week), TV (€ 30,- / per week), DVD Player (€ 10,- / per week), high chair for kids (€ 15,- / per week), microwave (€ 20,- / per week), linen and towels change (€ 8,- / per person). Maid service available by arrangement. 60 m2. 1st floor: living-room, dining area with double sofa-bed and kitchen corner (oven, freezer), 2 double bedrooms, bathroom with shower.